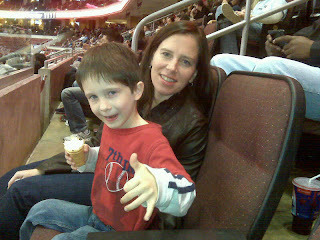 Angie and Jason at tonight's Sixers game. I got the score wrong in my previous post. Current score is: 76ers 59, Nets 62. 3rd quarter.